Above is the rough idea for the discarded pile (on the bottom left). It works, but the problem is the whole screen looks crazy busy. 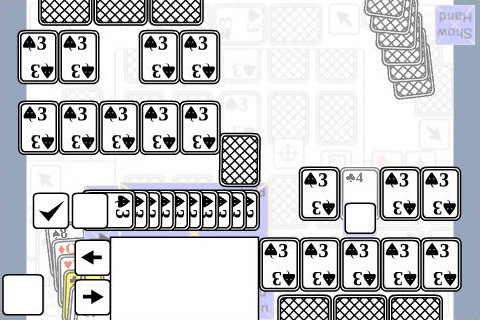 Also, I realized that less than 10% of the cards use the discard pile, so it didn’t make sense that this element would take up what looks like 50% of the screen. So, I decided to take a page from Hearthstone and basically remove the discard pile. I changed the cards that affect the discard pile so for now, the discard pile is just a number displaying how many cards are in the discard pile. This is of course just for the digital version. I started coding the card’s special abilities. This will probably take a while to do them all, but all the setup is done including rigging the deck so I can always draw a certain card and quickly test out it’s ability. What’s next: keep working on the card’s special abilities.